Is it Time to Retire Net Promoter Score? Every day at Fonolo, we’re involved in helping companies improve their customer experience. It’s a tough task because there are so many moving pieces involved. Many consumers don’t realize how many things a company has to get right in order to deliver a good experience. They only notice the flaws; and then complain loudly. When a company wants to focus on improving its customer service operation, the first question that comes up is, “how will we measure the improvement?” The most common answer to that question is “Net Promoter Score”. At least, that’s been the case for the last decade, but things might be starting to change. People that give you a score of 9 or 10 are called “promoters”. 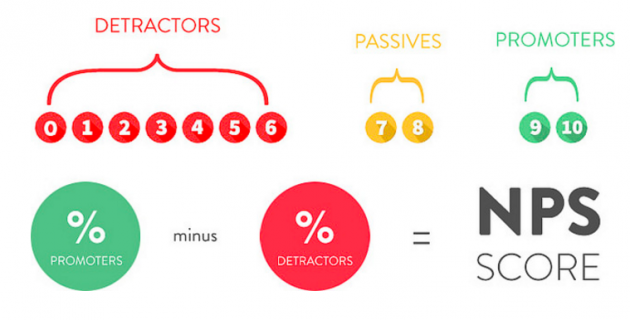 People that give you a score 6 or under are called “detractors”. You simply subtract promoters from detractors to get the score (ignoring the people that give you a 7 or 8.) The image below (hat tip to OpenView Partners) illustrates the process. The most common complaint about NPS is that it wraps up too many factors in a single score. If a survey respondent says they would not recommend your company, it may be for reasons completely unrelated to the customer service experience. Perhaps the product was faulty or they didn’t receive what they ordered. 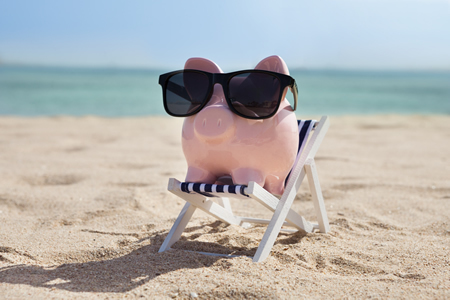 Even if it is related to customer service, there are many factors that could be at play. Maybe the IVR was frustrating and unclear or hold time was too long. 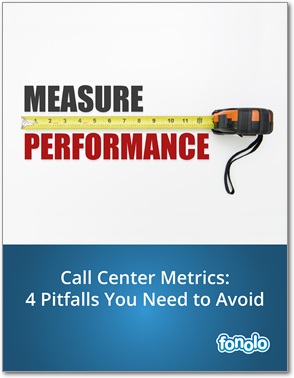 Contact center managers often feel that they are judged unfairly by NPS scores because so many of these issues are out of their control. The Strategic Contact blog spelled this problem quite well in, Is NPS No Good for the Contact Center?. If you want evidence of how contentious this issue is, look at the reaction received in January by a LinkedIn post titled bluntly NPS is Dead – receiving 3500 likes and 380 comments! Basing customer satisfaction on a single question is a narrow and inaccurate measurement which does not take into account the full picture and definitely loses pace in an increasingly digitalised world. The answer to that single question is often driven by the last experience with the business, failing to give the complete view of the customer mindset and interactions that will have taken place right across the organisation. 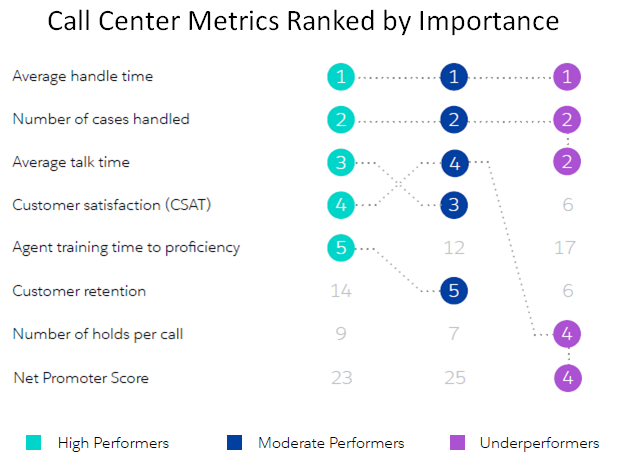 The chart below is a unique view into how different call center leaders rank the importance of different metrics. It’s interesting to see that only “underperformers” were ranking Net Promoter Score highly. Maybe this is the strongest sign yet that NPS has passed its prime.